I was playing with some new tarot cards that arrived yesterday while listening to a January 1-15 2017 reading for the sign Taurus by a guy named James of the YouTube channel James13Wicca. Now keep in mind I’m neither a Taurus nor interested in past time periods when the now is where I live, but it came up in the top right position of YouTube’s right navigation bar so I clicked it. If you are a regular visitor to my blog you know I watch readings that come to my attention in unusual ways, as I find they always mean a message is waiting for me from Oliver, my channeled collective. This one was no different. It’s 13:04 share offered amazing insight into the present moment of a friend going through a challenging time at home. This person, too, is a Taurus, though I’m not sure whether it is my friend’s moon sign or rising sign. I already knew what my friend’s sun sign was, though that is private and not pertinent to this share. My friend is also aware of the applicable sun sign. What my friend doesn’t know that I do is their other two zodiac signs; both moon and rising. I just don’t know which is which. Over the last several months Oliver has made sure enough confirmations have been received so I am clear on what they are; my guess being so I can better assess information as it comes in that is applicable to this friend. 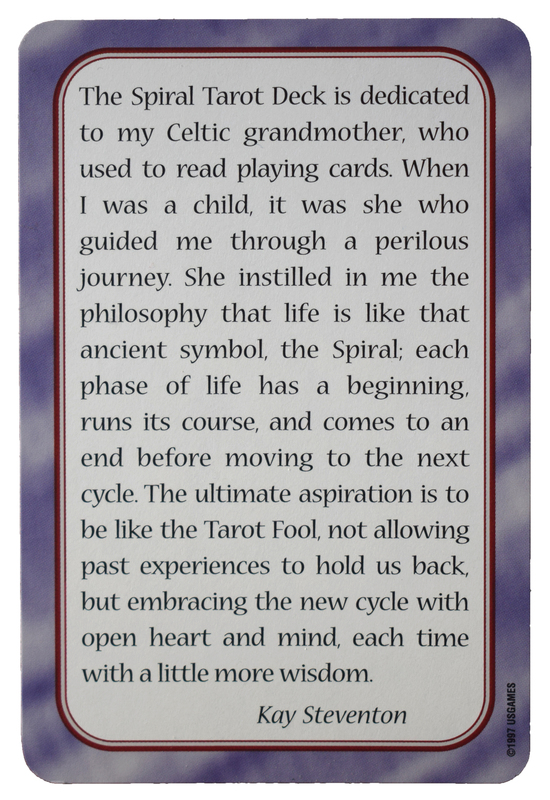 The deck I was shuffling… The Spiral Tarot by Kay Steventon. 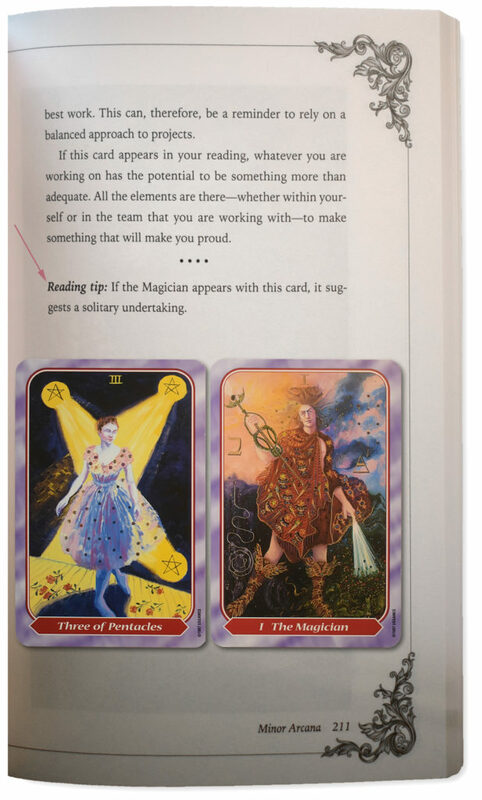 The cards that came flying out… The 3 of pentacles underlying the magician. The cards had arrived yesterday along with another pack I’d purchased called The Steampunk Tarot, by Barbara Moore and Aly Fell, a beautifully crafted set where the design is classic and artful. I needed reminding what the 3 of pentacles meant so I grabbed the book to look it up. What I didn’t realize is that I’d picked up The Steampunk manual and not the more flier-esk instructions for the Spiral deck. The manual opened to the exact page I needed, and the first words I saw were those in the final line. 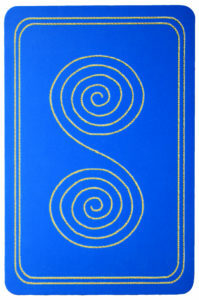 Reading tip: If the Magician appears with this card, it suggests a solitary undertaking. It was only a moment before I realized I had the wrong manual, but Oliver’s message had been received, loud and clear. I was curious, though, whether that same sentiment was relaid in any other information I had, so I checked the manuals for the other two decks I have; one being Angel Tarot cards, by Doreen Virtue and Radleigh Valentine, and The Wild Unknown, by Kim Krans. NOPE! Not a one said anything remotely similar. I checked one final source I use when I was in a hurry or the reader was using a deck I didn’t know, that being Biddy tarot online. Not a word! 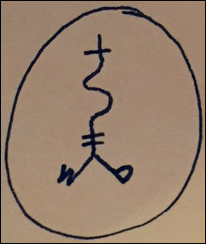 …life is like that ancient symbol, the Spiral, each phase of life has a beginning, runs its course, and comes to an end before moving to the next cycle. Poignant words for this person, and in relation to the situation being experienced. And, a final, sweet synchronicity. 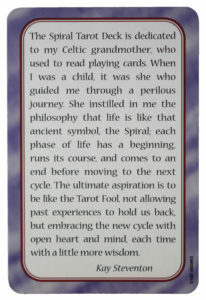 The card’s author, Kay Steventon, says the deck is dedicated to her Celtic grandmother… a point of significance, as well, for my friend, who recently discovered details about the past, as symbolically represented by a Celtic warrior, that indicates this individual’s role in this world; one of community, surety, and protection. One this person welcomes with passion, ready action, and good will. Funny, My guess is my friend will never see this post, but that wasn’t the point. My being aware of this matter, and loving that person through it, is the reason for the offering. Even if only from afar. Even if only by holding space, energetically. That I can do! Thanks Oliver. I am grateful for the information, and will pursue with kind consideration. The Sun. The Moon. Me.